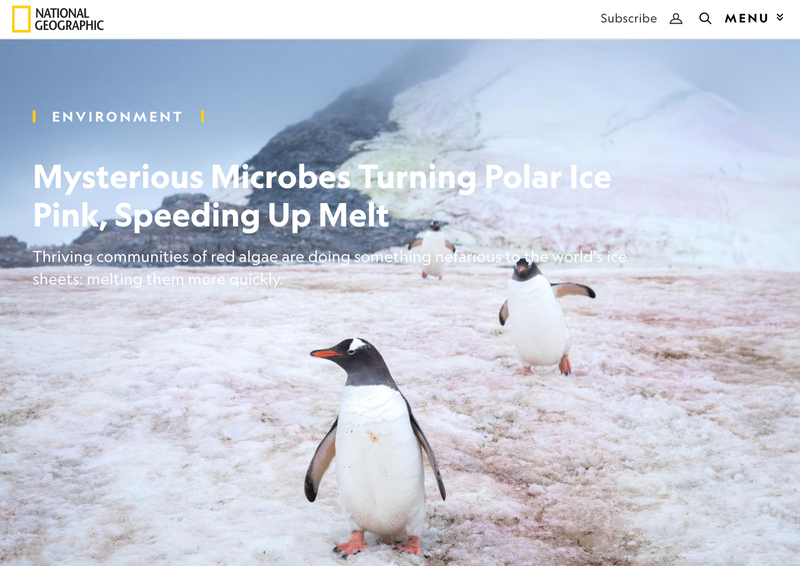 For the past three years, I've been photographing pink snow algae in Antarctica. Now I'm delighted to have these images incorporated into this article for National Geographic. Thriving communities of red algae are doing something nefarious to the world's ice sheets: melting them more quickly.